As a child, one of my favorite games was King of the Hill. Winning was temporary. The minute you got on top of that dirt pile, someone was there to take you down. Public policy is no different. 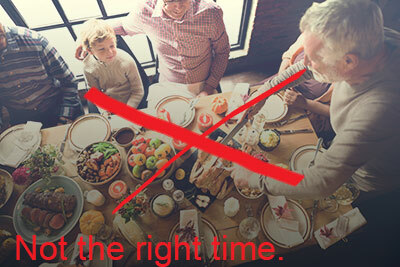 Holiday family gatherings are often one of the few times the whole family can be together throughout the year. This time to catch up and reconnect makes for a joyous season. For adult children of elderly parents or loved ones, it can also provide an opportunity to assess needs and talk about some of the important issues around aging. November is National Alzheimer’s Awareness Month. The neurodegenerative disease affects over five million people in the United States. That number is expected to grow to 16 million by 2050. With no cure and no long term treatments, new studies are focused on early detection. This year, researchers discovered a way to detect Alzheimer’s even before the onset of symptoms in people at genetic risk for developing the disease.